Have you figured out your Halloween costume this year?! Whether you love or loathe the holiday, it can be a loaded question to answer. In an effort to find out what the stylish residents of NYC are dressing as this year, we teamed up with the data specialists at Social Context Labs for insider information. Rather than flat-out asking the loaded question that most people sigh in response to, the data team looked to social media to gather this year’s most popular Halloween costume topics in the NYC area. By analyzing all social conversation where people in NYC were discussing Halloween costume ideas and plans, the team was able to predict the number one costume for 2016. The results found Harley Quinn from Suicide Squad as the leading topic. Other trending Halloween topics among NYC’s social media buzz include: Pokémon Go, Eleven from Stranger Things, and Beyoncé. 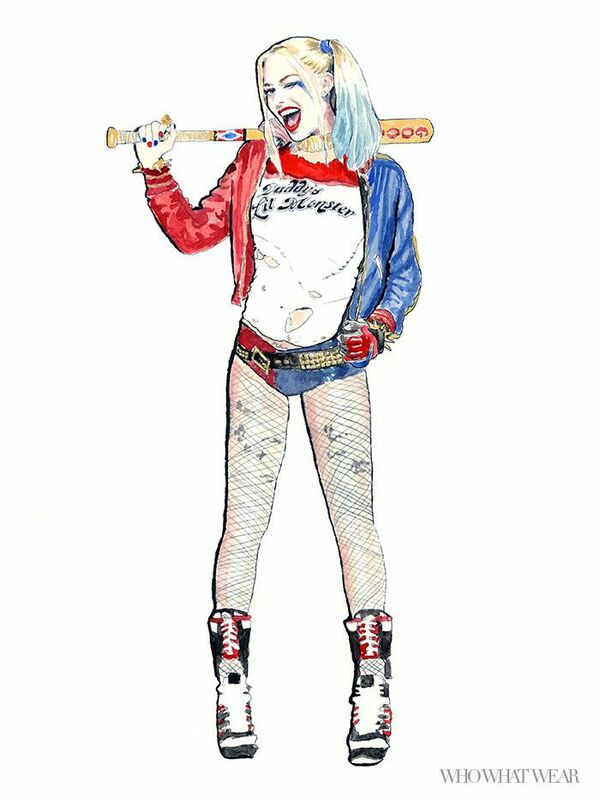 Whether you use this as a starting point for your Halloween costume or as a warning if you’re looking to stand out with a unique idea this year, there’s certainly going to be a plethora of Harley Quinn lookalikes running around the city. Check out our amazing illustration for inspiration and shop a few of the essentials you need to create the costume below. Harley Quinn costume essentials: Graphic T-shirt; Silk bomber jacket; fishnet tights, studded belt; lace-up boots or sneakers. Keep reading to shop our favorite graphic T-shirts to start your Harley Quinn look. Do you have your Halloween costume squared away? Let us know your costume idea in the comments below.